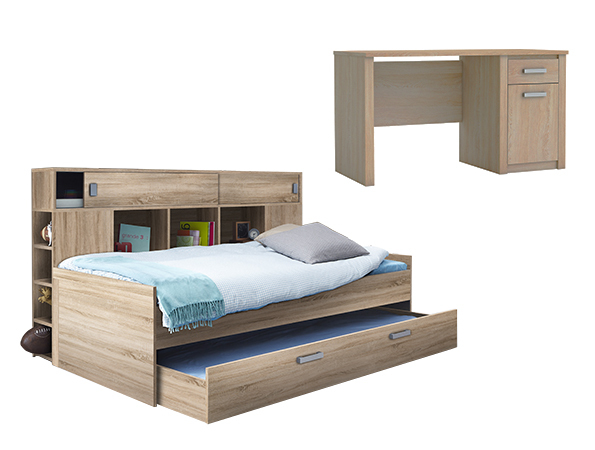 Sherwood youth bed in brushed Oak features an underneath trundle, and headboard with shelves, bookcases and recessed storage areas. The desk features a door and sliding drawer. From the Demeyere Collection by Primo International.